Ultron Drone "Swarm of Destruction"
Thread: Ultron Drone "Swarm of Destruction"
This character die can be KO in Main Step and Attack step. I want to know exactly how it suceed in Attack Phase. 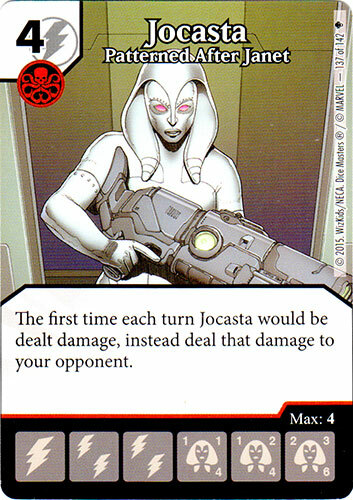 Obviously i select first the damage vs Dron, if my opponent KO it, i can choose a blocker of other confrontations to be captured and my attacker is free of damage (could be perfect for Hulk Out, and vs Jocasta) or select any of static dies in my opponent´s field, capture it and its abilities are out of play (Groot +3D, Pepper +2D, Ironfist, Cap America Super Soldier). And then select the next duels for damage. This is correct? Last edited by bartok; 10-22-2015 at 12:57 PM. All combat damage is dealt at once. As such, you will not be able to capture an opposing character to protect the character that was blocked. 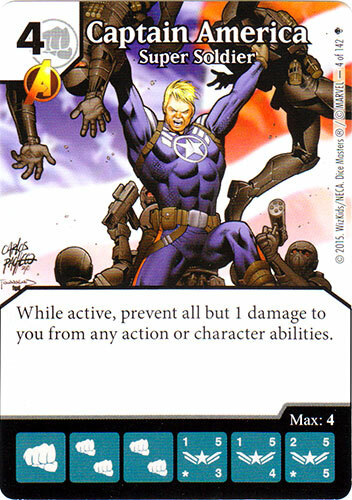 The only use of this ability in the attack step is to capture and remove characters with "while active" abilities such as Groot like you named. 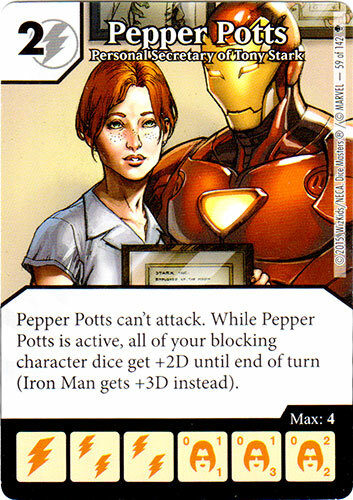 However, this won't save you from effects that trigger "when knocked out" or Retaliation since those have already triggered and will deal their damage no matter what at this point. What about The Hulk Out, the blocker dont add its D, because of capture. I play Globals before resolution of damage, the captured die is out and dont hurt my die and i can give the Hulk out to deals all damage to the opponent. It seems these would resolved before he is captured because one is during damage and the other is during battle and this ability triggers after KO. I don't see when Ultron Drone's ability is useful. By the time another die is captured, the turn is over. If you are using the Blue-Eyes global, then yes, you could easily pull that off. I didn't realize that's what you were talking about. The thing I was referring to was if Ultron Drone was knocked out in combat. In that case, he'd be too late to help with much of anything except for very specific captures. For Groot - We Are Groot, capturing him after combat damage knockouts were applied would still remove his effect before damage cleared. As such, any opposing characters that were relying on those extra defenses to survive would be knocked out. His is a "while active" ability, so it never resolves, it simply exists. 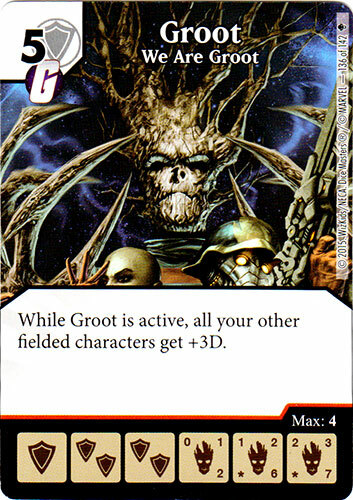 When Groot gets taken off the field, his effect goes with him and that means there's a lot of characters that are going to die.